This week we decided to name the five celebrity businesswomen Luxe Models most admires, to salute the famous female faces who’ve used their talents to build huge financial empires. The girls have come a long way. When the modern concept of “celebrity” first arose in the 40’s and 50’s, a woman could be famous but she couldn’t control her own financial future. It was the men who had their hands on the purse strings. Oh how times have changed. Fast forward a few decades and you’ll soon see that it’s the girls who run the show these days. Female stars are using their fame as a platform to develop entire business empires, and show that the girls are every bit as good as the boys when it comes to making money. These five women know how to make money! There are a few women who stand head and shoulders above the rest; women so talented, intelligent and ambitious that they have accumulated serious piles of cash throughout their careers. Here are five that Luxe Models particularly admires. 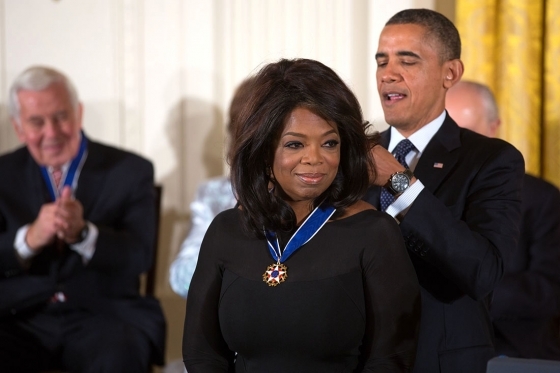 1) Oprah: Since she first started The Oprah Winfrey Show back in the 80’s, this fabulous female entrepreneur has gone on to become the world’s only African-American billionaire. Dubbed the “Queen of all media” by the international press, there isn’t a media-flavoured pie Ms Winfrey has failed to grab a slice of. She even has her own TV network. 2) Madonna: The mother of reinvention has always had a talent for making money. Ever since her meteoric rise to stardom in the 80’s, Madonna has never missed an opportunity to market herself, turning her image into a speeding juggernaut of a global brand. She has sold more than 300 million records worldwide and has developed numerous products including her own clothing line and a chain of gyms! 3) Beyoncé: The woman that CNN has described as a “global brand,” Queen Bey has straddled the line between marketing herself as an astute businesswoman whilst maintaining her relatable girl-next-door appeal. Not only has she sold millions of albums worldwide, but she has released so many products that we don’t have the space to list them all in this article! 4) J.K. Rowling: We love J.K. Rowling because she lived the classic rags to riches story. She lifted herself out of a life on benefits when she dreamt up a story about a boy wizard at magic school that transformed the lives of millions of children all over the world. Rowling’s story shows that one idea can change your life. 5) Taylor Swift: By far the youngest name on this list, T-Swizzle has such a talent for making money that it’s astounding. Named a “savvy business leader” by Entrepreneur.com, her estimated net worth is $220 million even though she’s only 25 years old. It’s really amazing how much dosh you can make off the back of a few (dozen) failed relationships! The reason we admire these women and others like them should be obvious. They have used their talent, intelligence and raw ambition to overcome the misogyny that’s still rampant in the business community to turn their names into global brands. For that, we salute you celebrity businesswomen of the world! For more stories and blogs like this, be sure to stay in touch with Luxe Models on Ello today!